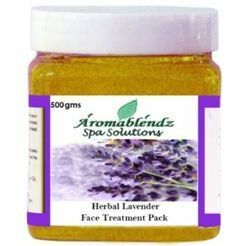 We are a leading Manufacturer of aromablendz chocolate mint face treatment pack, aromablendz vanilla face treatment pack, aromablendz herbal lavender face treatment pack, aromablendz cucumber and mint face treatment pack, aromablendz herbal facial pack and aromablendz tulsi and turmeric face pack from Mumbai, India. The deadly combination of Chocolate & Mint act as an anti oxidant & a cell rejuvenator. It reduces wrinkles, leaving your skin feeling young & alive. Apply evenly until it forms a thin layer. Keep for 10 to 15 minutes & wash off. Uses & Benefits: Regular application nourishes the skin, reduces fine lines & improves the texture making it satin soft & smooth to touch. Suitable for all types of skin. Caution: Avoid application on cut & open skin. Use a sun block post treatment. Use & Benefits: Therapeutic properties of Lavender reduces wrinkles & sagging skin. While complexion enhancing properties of Manjistha leaves your skin looking young & radiant. Application: Apply an thin layer evenly all over face & neck & leave on for about 20 - 30 minutes. Rinse off with warm water. Ingredients: Lavender Oil, Rosemary Oil, Sandal Powder,Manjistha,Marigold oil, Shea Butter, DMDM Hydantion, Triethanolamine, Retonic acid (Vitamin A), L-ascorbic acid (Vitamin C), a- Tocopherol (Vitamin E) & Excipients. Caution: While the pack purifies your skin, the active natural ingredients may cause a brief tingling sensation. Avoid contact with eyes & mouth. The skin needs intensive Care every week as dust, pollution & harsh sunrays harm its texture making it dull & pigmented. 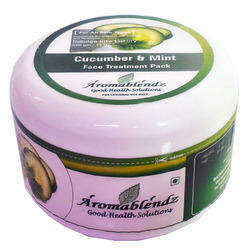 This product fortified with Neem, Mint, Turmeric & Cucumber extracts purifies your skin from deep within. Its intensive care formula relaxes & firms tired skin leaving your complexion with an unbelievable radiance & glowe. 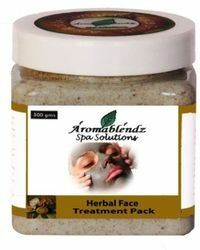 Application: Cleanse your face & apply the pack evenly on face & neck. Allow it to dry for about 10 to 15 minutes and then wash off. For best results, use every alternate day. Vitamin A, C, E & Excipients. Uses & Benefits: It deep cleanses by exfoliating surface level toxins which clog the pores & prevent the skin from breathing. It triggers collagen precursors which help in tightening & firming the skin reducing open pores. Application: It comes in a powder form, add water till it forms a consistent paste. Apply evenly on the face & leave it to dry for approximately 15 minutes. Ingredients: Cyprus Rotundous, Aloe barbadebse, Embiliaribes, Aloevera Extracts, Silica, Ayurvedic proprietory herbs and Excipients. Caution: Do not use more than twice a week, avoid using bleach or any other chemical treatments for 30 minutes post application. 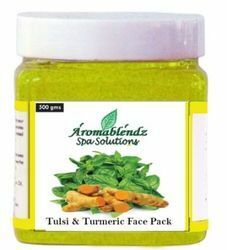 Use & Benefits: Turmeric has been used since ages as an integral ingredient for skin lightening. 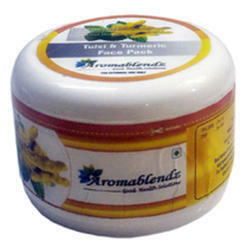 This face pack is also used by the bride-to-be to get instant fairness and glowing skin. It is also an antioxidant which protects the skin from the free radicals which cause wrinkles and fine lines. Application: Apply the pack all over the face and keep till the pack dries. Wash off the cool water to reveal glowing skin. Ingredients: Neem Patra, Tulsi. 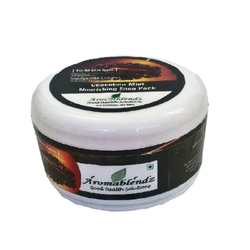 Aam Seed, Haridra, Kamila, Horse Tail, Nimbu, Vriksha Chai, Besan, Tulsi Satva, Kaolin, Bentonite, Jai Seed. Pudina, Multtani Mitti & Turmeric. Use & Benefits: It is rich in Vit C. It deep cleanses by exfoliating surface level toxins which clog the pores & prevent the skin from breathing. Application: Take approximately 10 gms & add rose water to make a thin paste & apply evenly on face & neck post your face massage. Allow it to dry for about 10 to 15 minutes and then wash off. For best results, use twice a week. 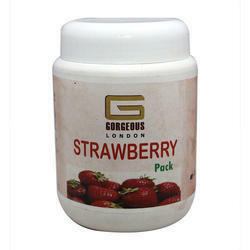 Composition: Santalum album, Prunus amygdalus, Ash of Zincum, Sangeyashav, Keolinum, Zypsum & Strawberry Extracts. Caution: While the pack purifies your skin, the active natural ingredients may cause a brief tingling & thermogenic sensation. Avoid contact with eyes & mouth. It deep cleanses by exfoliating surface level toxins which clog the pores & prevent the skin from breathing. It triggers collagen precursors which help in tightening & firming the skin reducing open pores. It comes in a powder form, add water till it forms a consistent paste. Apply evenly on the face & leave it to dry for approximately 15 minutes. Ayurvedic proprietory herbs and Excipients. 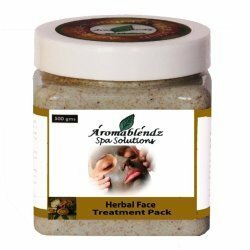 Looking for Aromablendz Face Treatment Packs ?